Here’s a lovely short video about the DTM shot by Jennifer Finazzo-Schneider. Enjoy! A mural created on the free speech wall by Sam Welty that is a homage to comedian Daniel Tosh. It’s trip! and it only has 356 views! Another good one by Brian Wimer and Rich Tarbell for Amoeba Films. GREAT LITTLE ‘flavor’ film about the DTM by Brian Wimer and Rich Tarbell for Amoeba Films. MALL FAN, former PC member, and UVA architecture professor of urban and environmental planning Bill Lucy introduces this student “rap” about the Mall. Like many, they get it wrong about the number of places to eat on the Mall, but this is pretty fun. Got to listen closely to Lucy, he’s very soft-spoken. VIDEO ABOUT the Dave Matthews Band homecoming concert in April 2001, which gives you some idea of how Miller’s on the Downtown Mall has become a tourist attraction, and what the band means to Charlottesville–and what Charlottesville means to Dave Matthews. Sorry, can’t embed this one, but here’s a link. 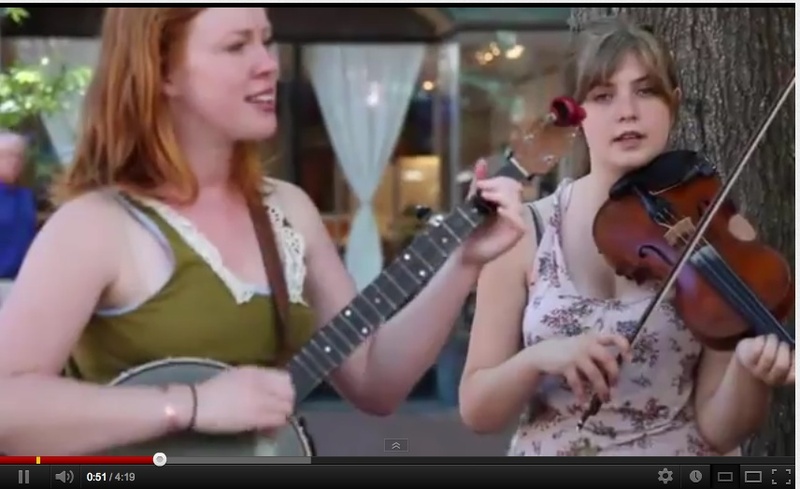 DMB’s ‘Everyday” video, which features a lot of Charlottesville and the Downtown Mall. Do you recognize anyone? FILM ABOUT Christmas on the Downtown Mall. WELL, you certainly should link to artist (born in Charlottesville) Avery Lawrence’s performance pieces on the DTM! He recently had a ‘one artist’ show at the 1708 space in Richmond with great new work and big audiences. He lives in New Orleans, now, however.